A small group of paddlers in and around the Southern end of Cayuga Lake that love to paddle outrigger canoes (wa’a in Hawai’ian). We practice regularly from April through October and compete in races during the summer as part of the East Coast Outrigger Racing Association. Regular club practices are held on Tuesday evenings, Friday evenings, and Sunday mornings. The practice times listed on the right hand side reflect when the boat leaves the shore so it is necessary to arrive 15 minutes prior to the times listed. Additional club practices may be announced via the club listserv. Novice practices will be held on occasional Saturday mornings, or as needed depending on availability of our novice paddlers and steerspeople. If you are interested in learning more about novice practices, please email cayugaoutrigger@gmail.com. These practices are perfect for those with no prior paddling experience or individuals who have paddled other types of canoes or kayaks, or for more seasoned paddlers who would like to work on technique at a slower pace. If you’ve never paddled a wa’a before, you can try paddling with us. The first three times are free; each outing thereafter is $10 (which is applicable toward a club membership). Meet at East Shore Marina for practices and prepare to get a little wet. 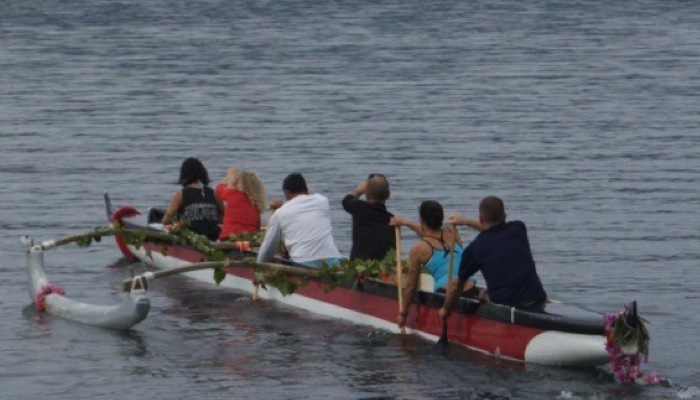 Cayuga Outrigger Canoe Club, Inc. is a New York State not-for-profit corporation formed in August 2008 for the promotion of outrigger canoe paddling. We paddle regularly on Cayuga Lake from May through October and participate in races during the summer on a club and individual basis. We are a dues supported organization with a membership of about 15 active members. If you’d like to try paddling with the club, you can come practice with us three times before becoming a member. The club owns several paddles and all required safety gear, however if you prefer to wear a PFD while paddling you will need to buy your own. During cold water periods (early season until about mid-June) all paddlers must wear a PFD and be dressed appropriately (all synthetics, warm hat, etc.). If you’d like more information about the club please send an email to cayugaoutrigger@gmail.com. Thanks and hope to see you on the water!